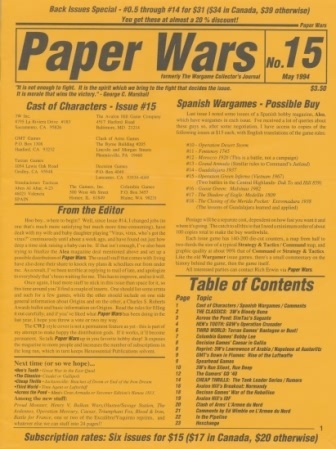 Paper Wars was launched in 1991 by Omega Games. 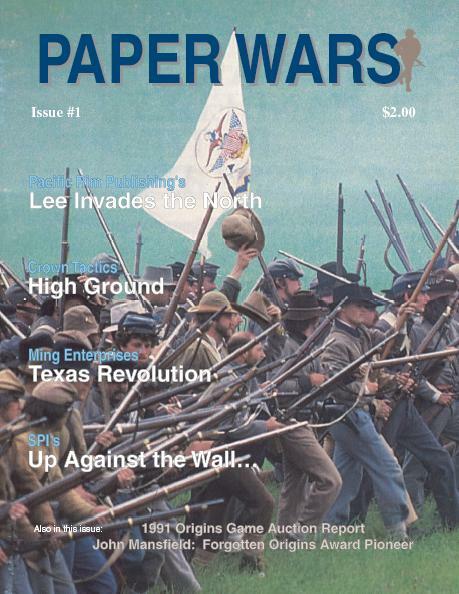 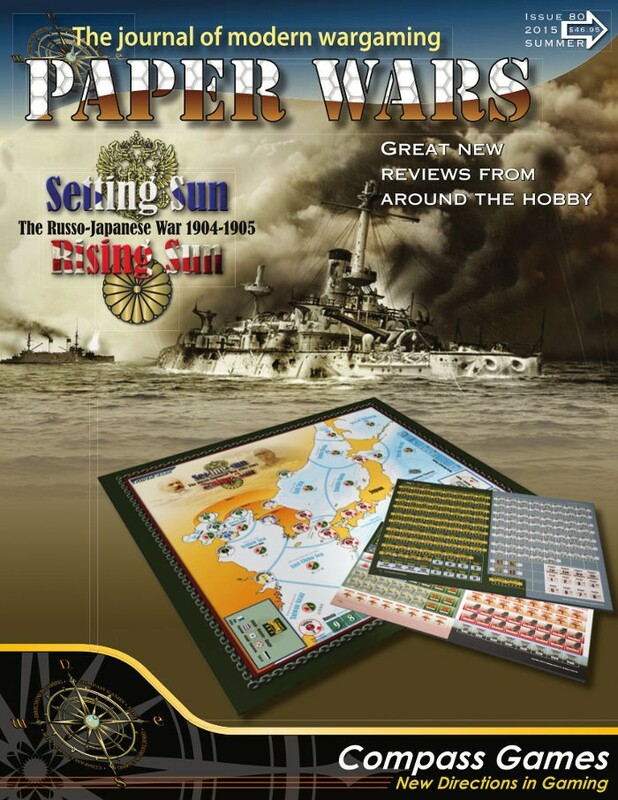 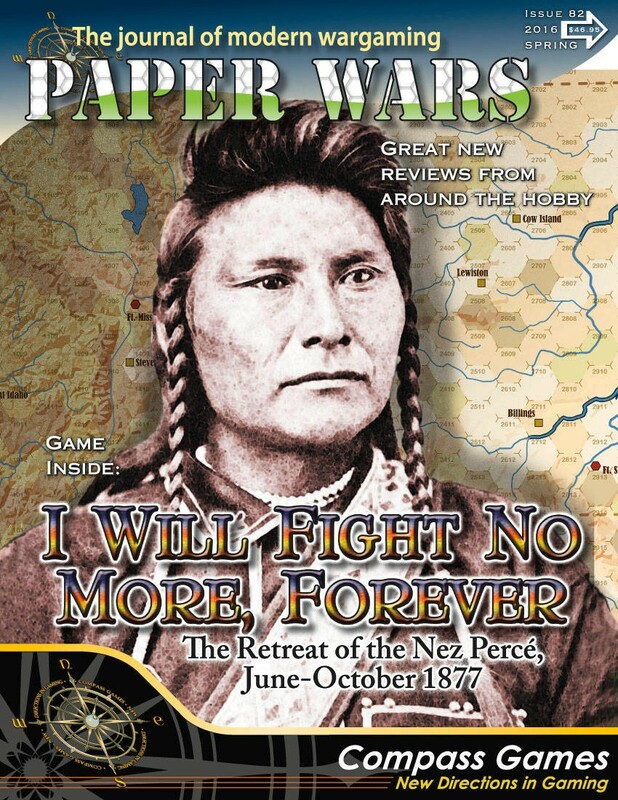 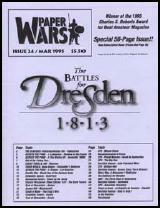 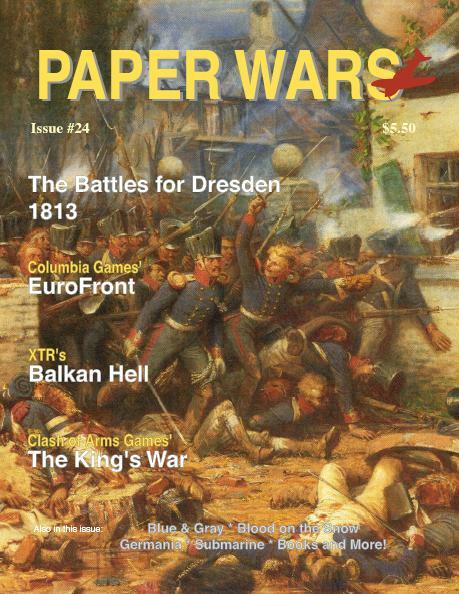 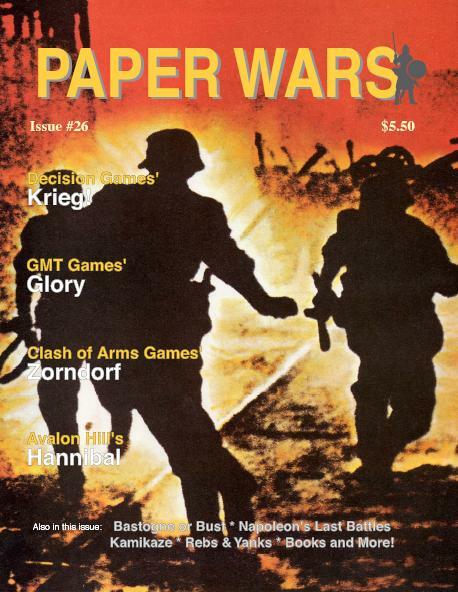 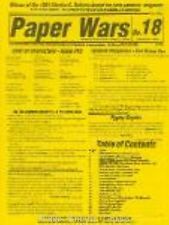 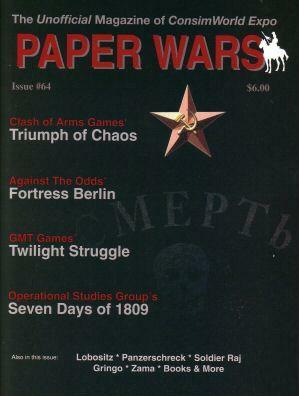 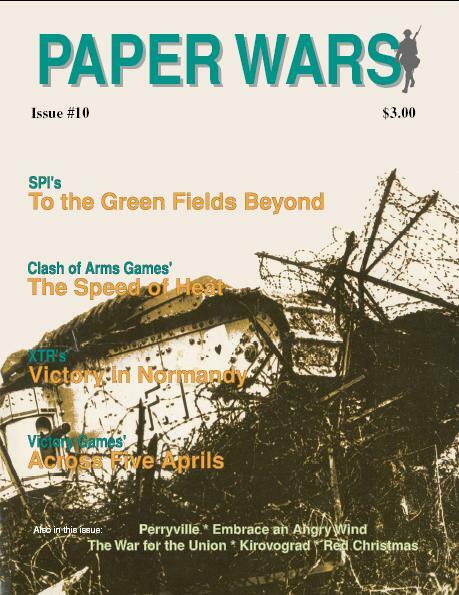 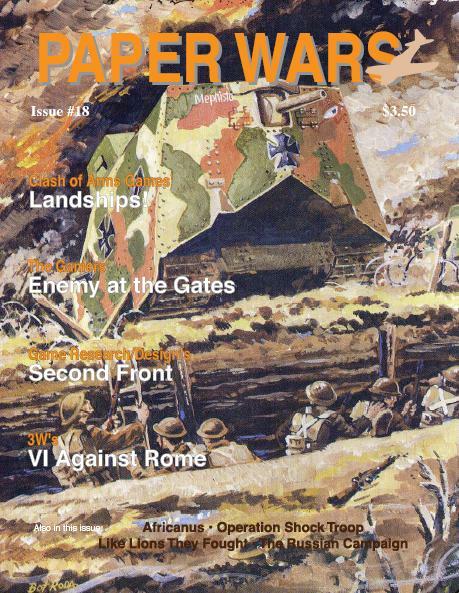 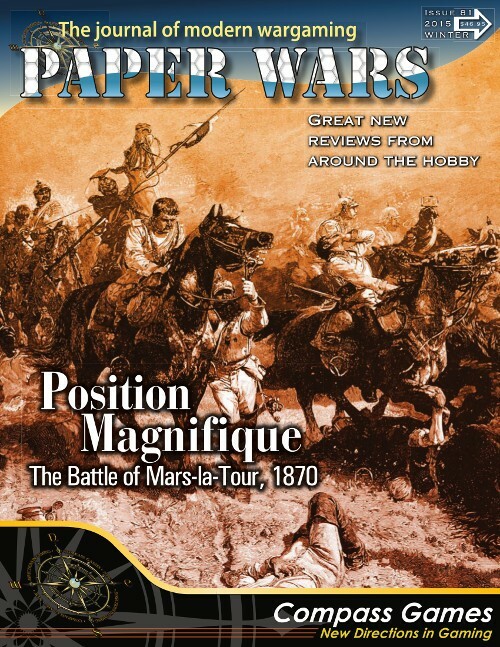 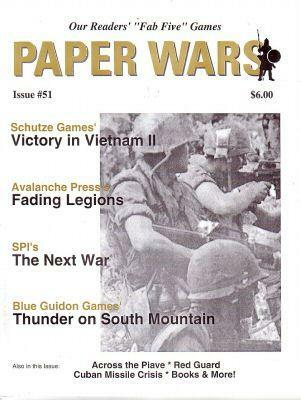 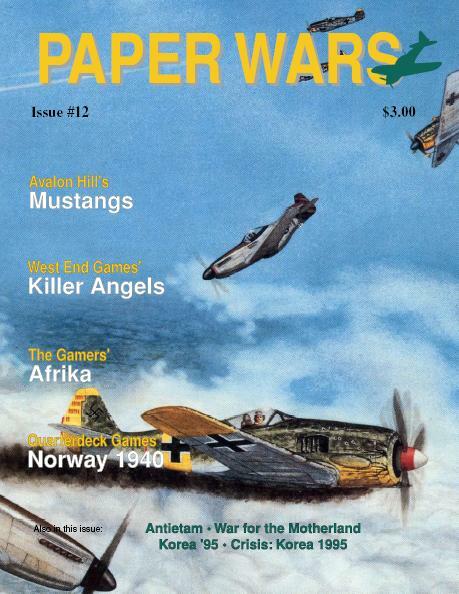 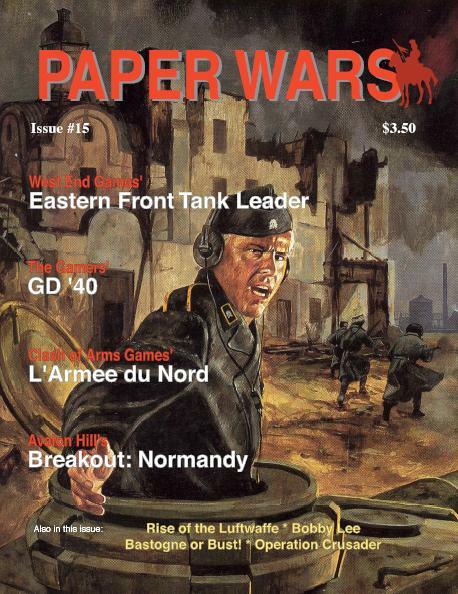 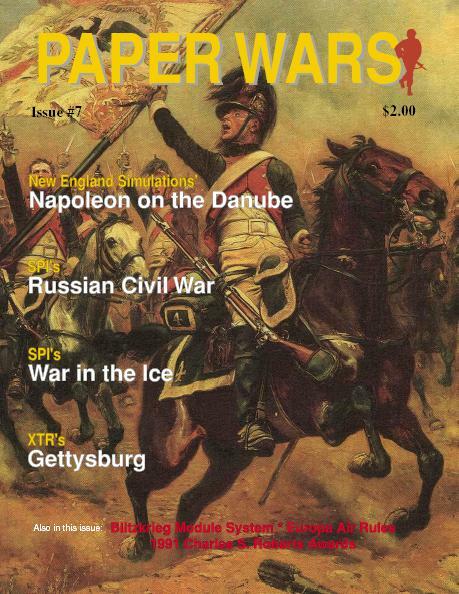 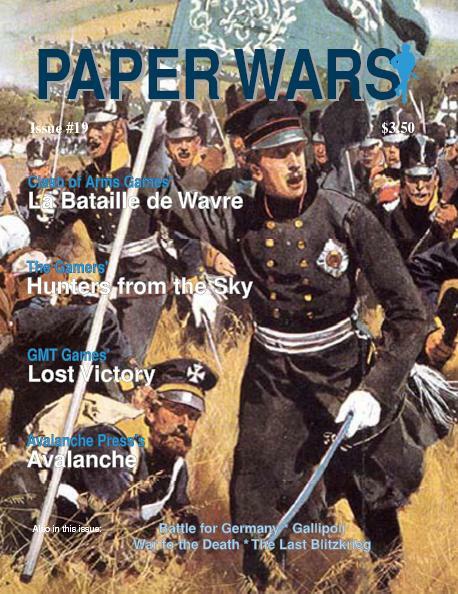 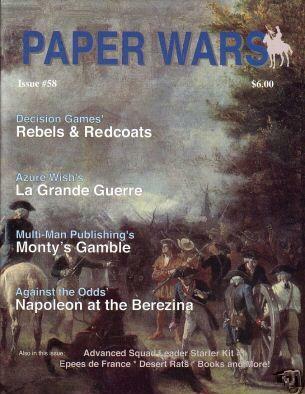 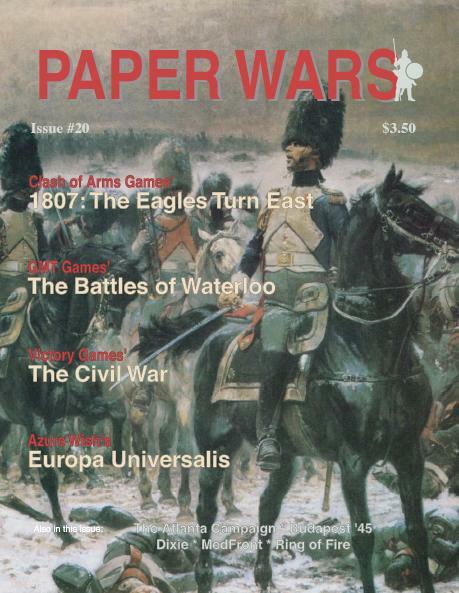 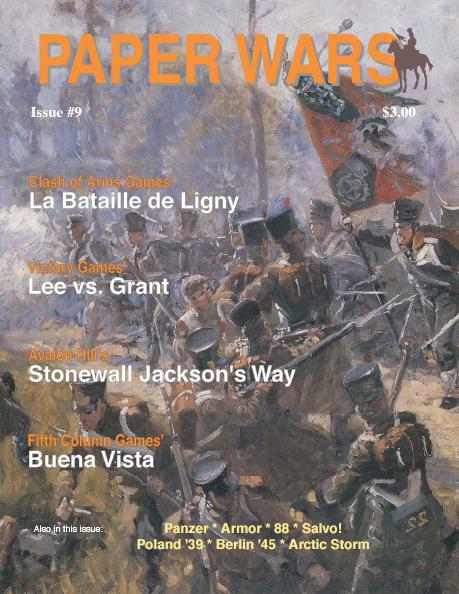 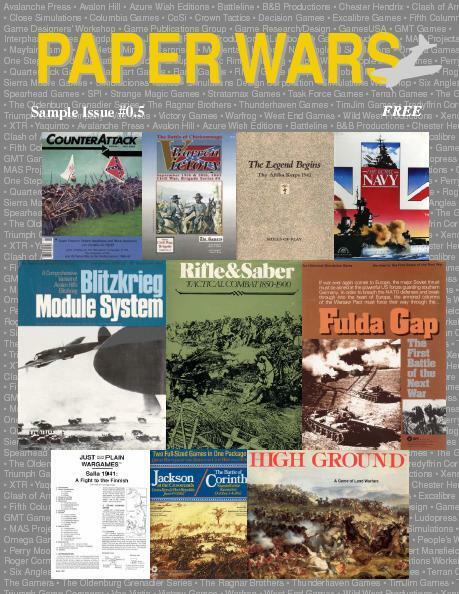 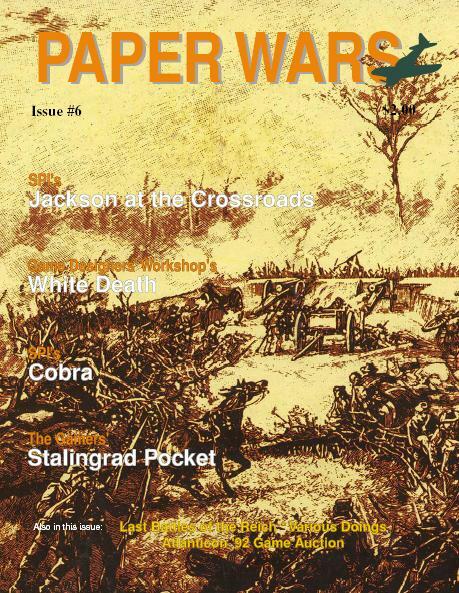 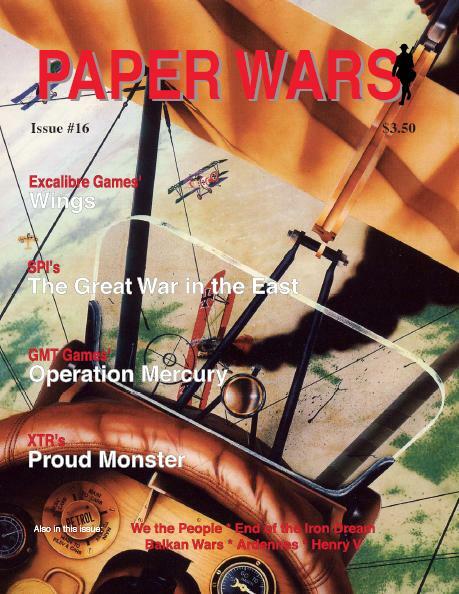 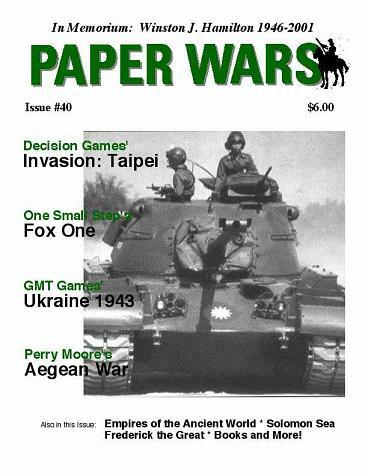 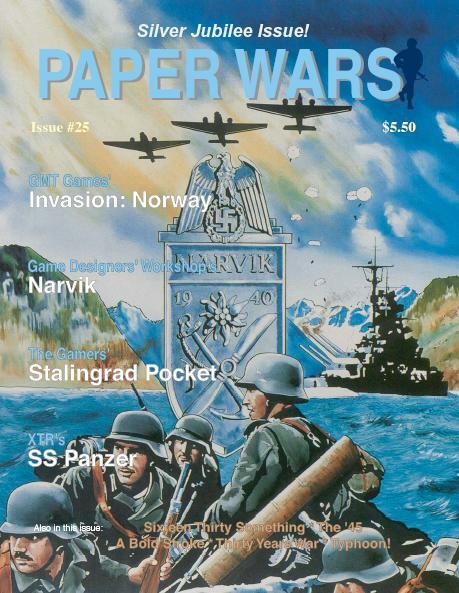 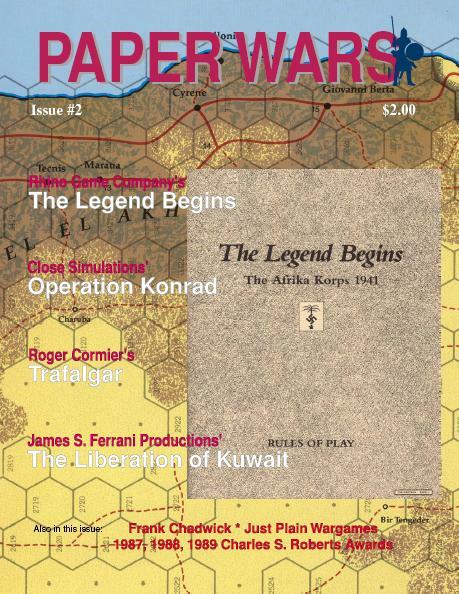 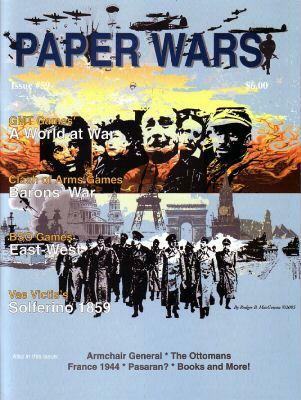 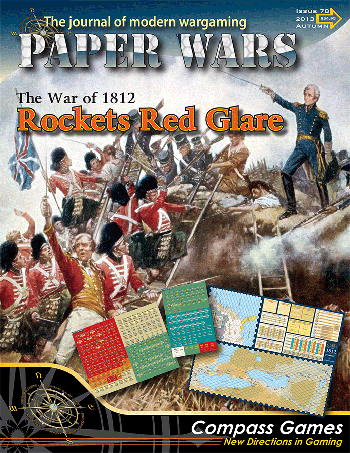 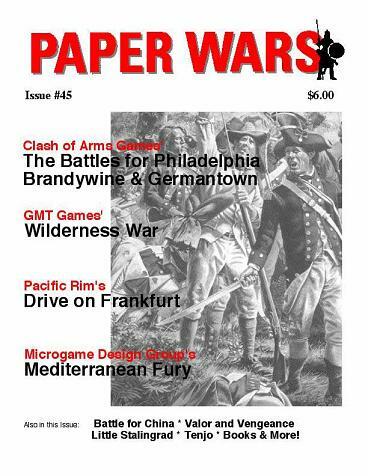 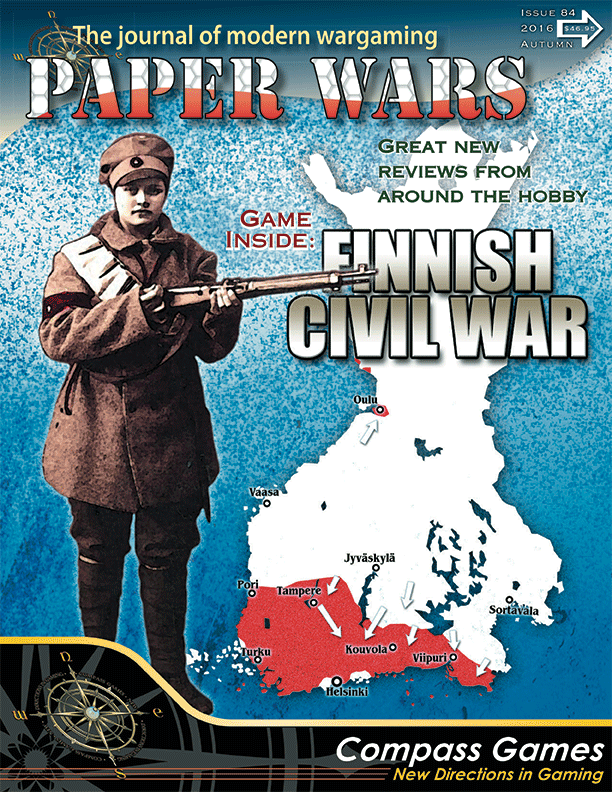 Originally known as Wargame Collector's Journal, it was renamed to become Paper Wars with issue 9 in March 1993. 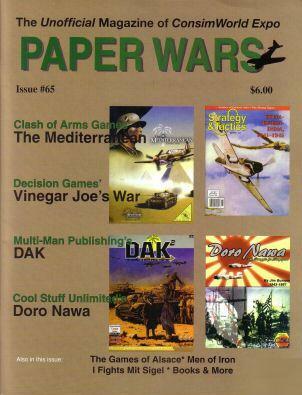 A CD-ROM collection of the first 26 issues, plus a sample issue, was released which has the content reorganized with new covers reflecting the new title of the eight original issues of Wargame Collector's Journal. 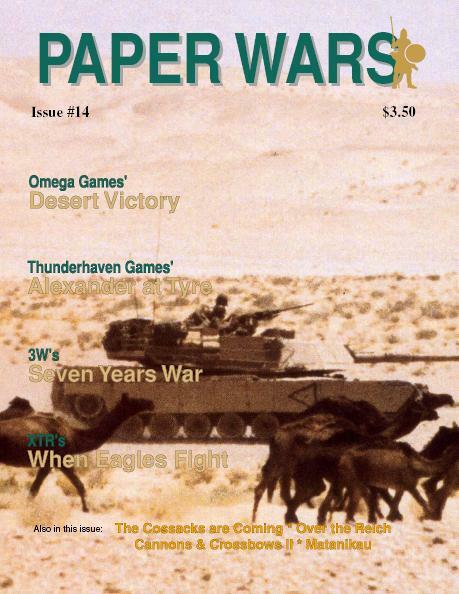 While the magazine was published by Omega Games, it actually had articles and reviews on games by all publishers, in addition to book reviews, industry news, historical articles and other items of general interest to wargamers. 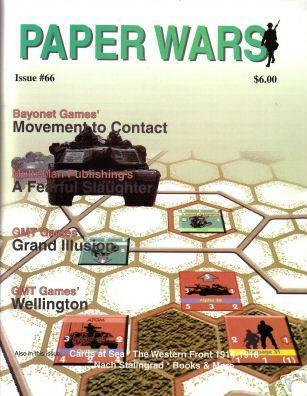 Coverage of tactical wargame subjects has not been inconsiderable, including some relatively obscure titles such as Yaquinto's Panzer/88/Armor trilogy, West End Games' Eastern Front Tank Leader, and several others. 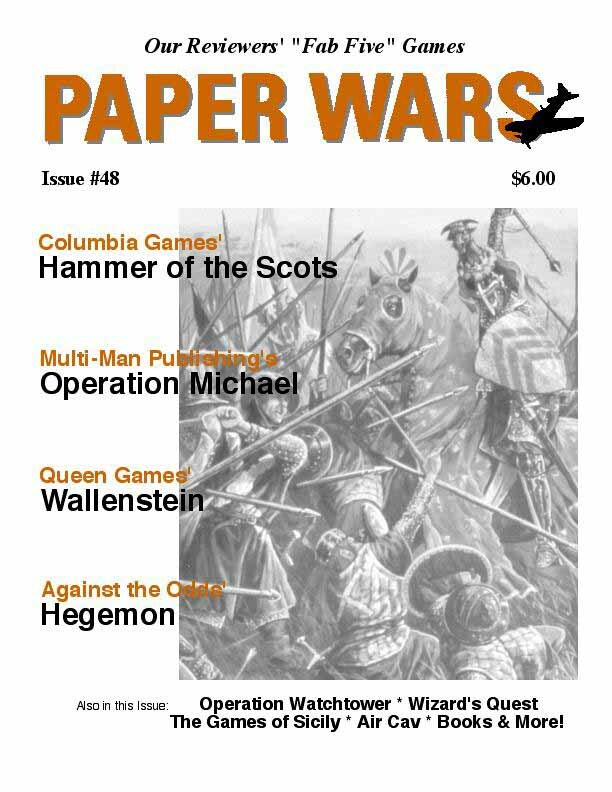 We have exciting projects waiting in the wings. 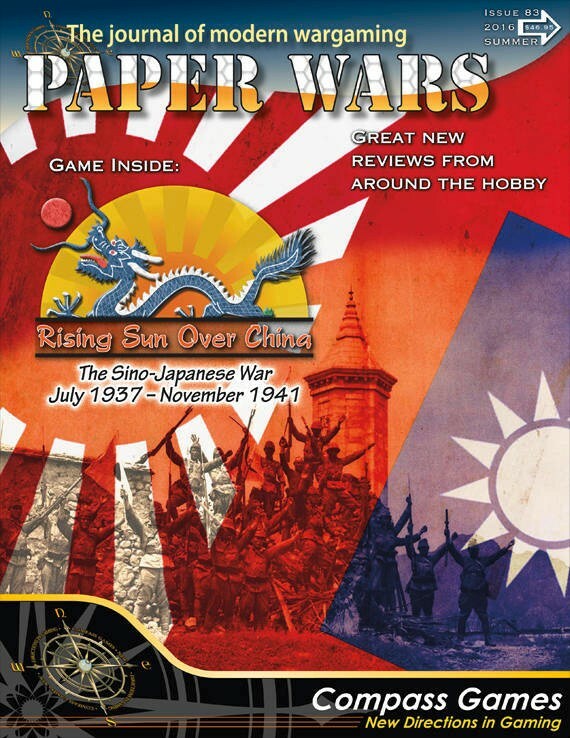 One focus will cover the wargaming hobby outside of the United States; what’s out there and where to find it. 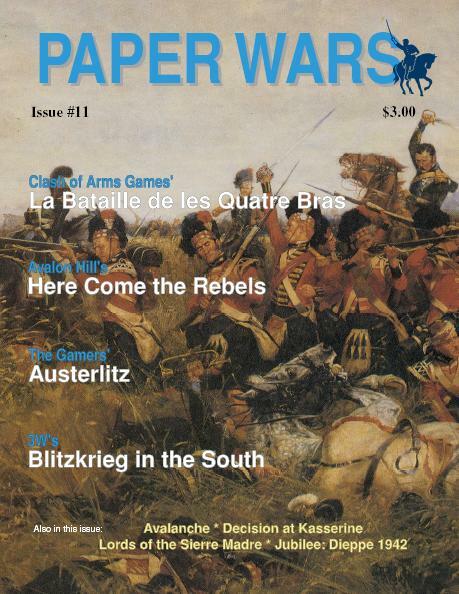 Did you know there was once a Strategy & Tactics quality magazine in France? 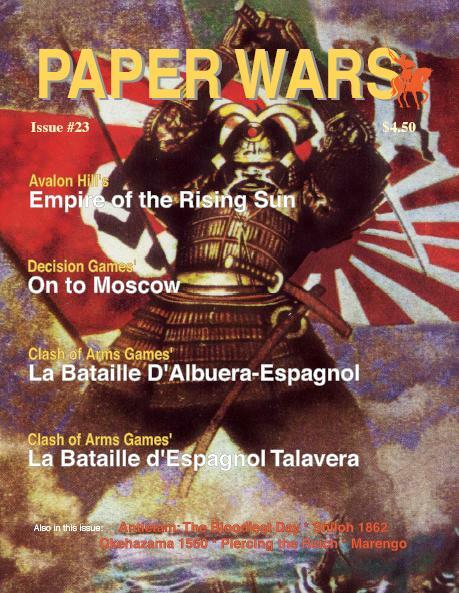 Or two in Japan? 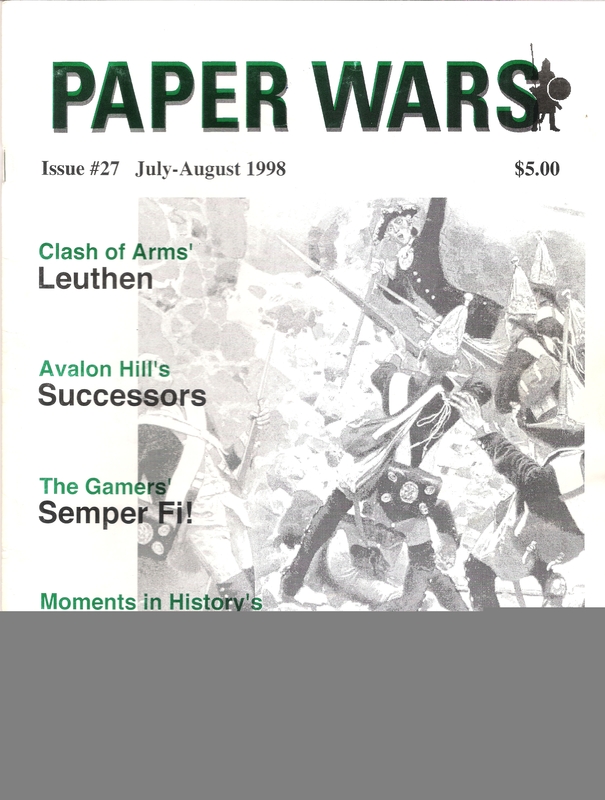 Another focus is on the history of wargaming; the companies, personalities, and products... For example: Answer this question. 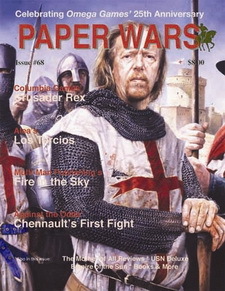 Who created the Charles S. Roberts awards and why hasn’t he received one yet? 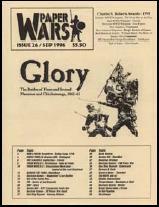 Better yet, do you know who the nominees for the 1984 awards were? 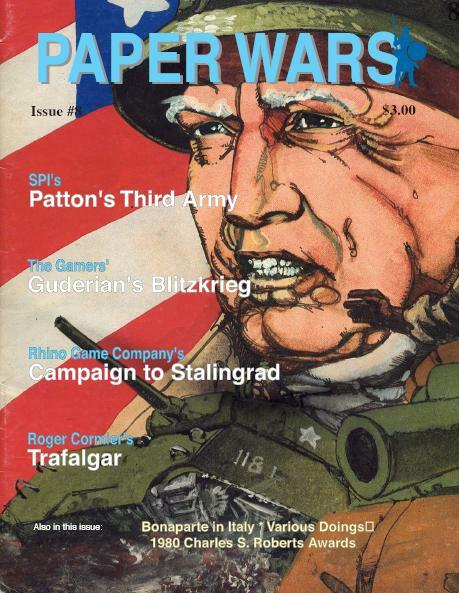 A third focus will be on tips, tactics, and tales regarding the acquisition of collectible games and magazines. 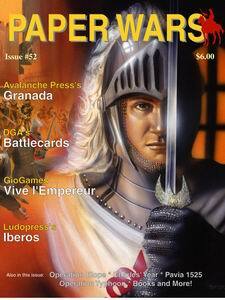 Fourth, the grognards and designers will tell what it was like in the Golden Years of gaming. 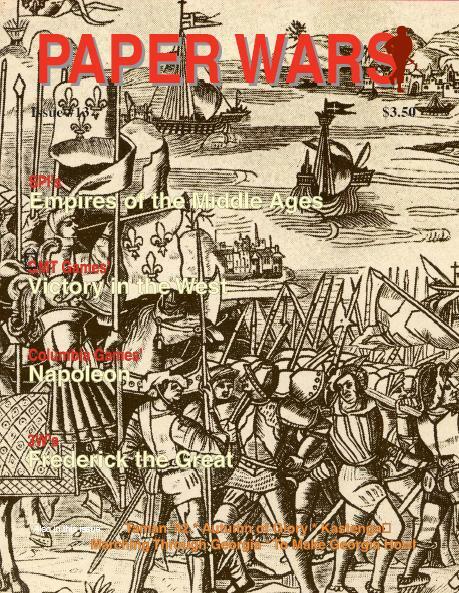 Above all, the backbone of our newsletter is the ads. 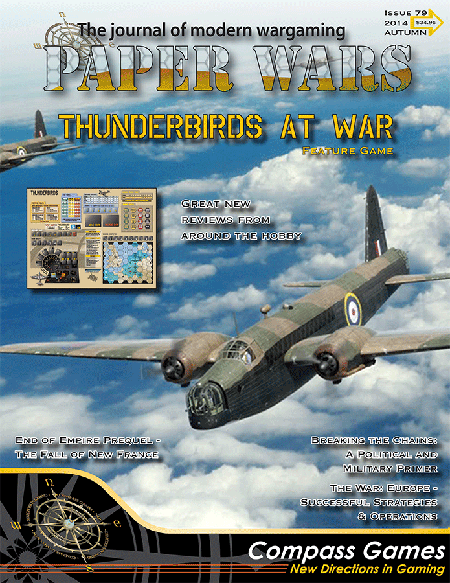 Subscription to the newsletter includes a free classified ad per issue with a forty word limit. While I’ve received support from most folks who wrote about the name change, some were very skeptical, to say the least. 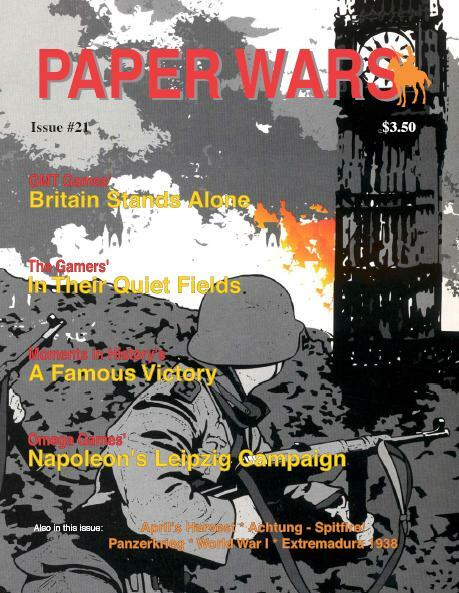 (Those opposed were usually good writers, though - care to write some game reviews, guys?) 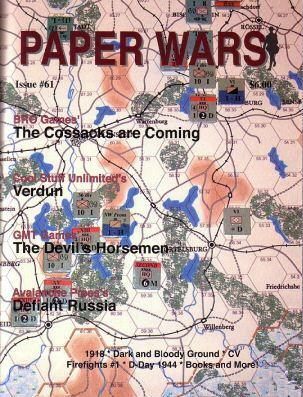 Seriously though, I think Paper Wars reflects our change to that of presenting more of board wargaming as a whole, without sacrificing or compromising our origins. 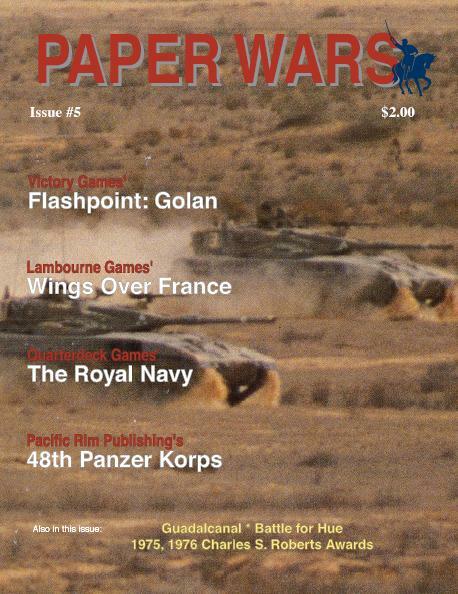 This newsletter, as long as I run it, will not forget where it came from, and you as readers have every right to make your voice heard if you think I’m doing so. 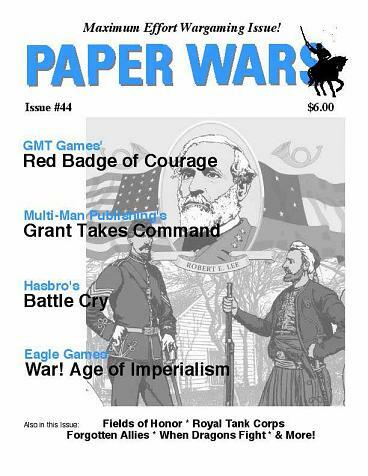 Deserved praise will also keep the gears well greased, and I’m always willing to hear about any new ideas or topics you want me to review. 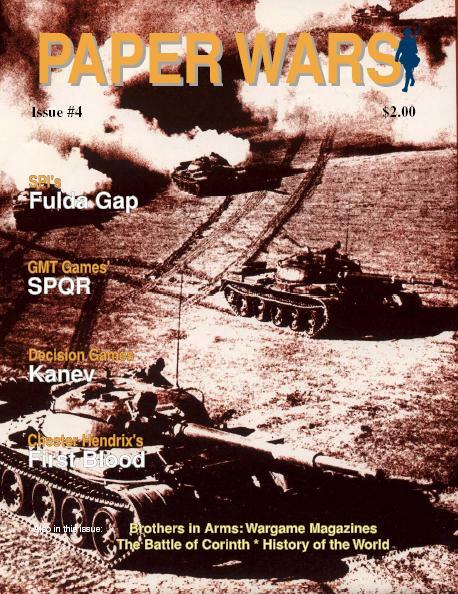 Perhaps even just as encouraging for the tactical wargamer in that issue was a full-length article on the Yaquinto games Panzer/88/Armor, published 13 years previously, a mention of how they were the descendents of Avalon Hill's modern games MBT and IDF and a discussion of how the games compared to Squad Leader. 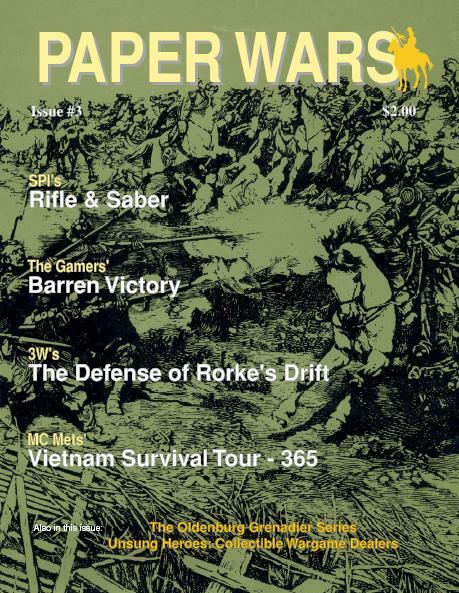 "Beginning with issue #77, Compass Games will be the publisher of Paper Wars magazine. 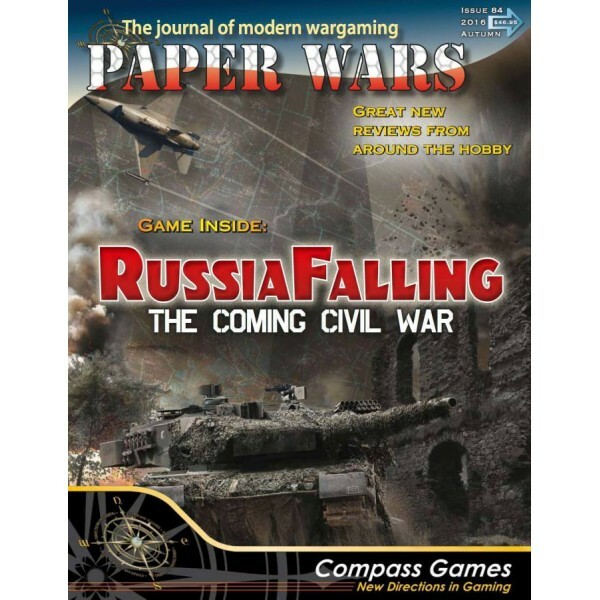 The first Compass edition is scheduled for September, 2012 release. 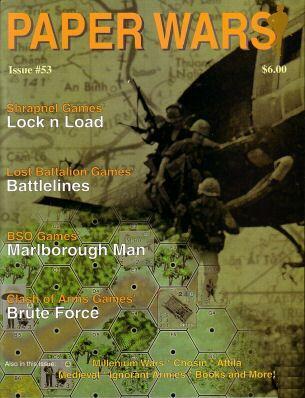 Since its inception, the magazine has contained wargame reviews and was published in black and white only. 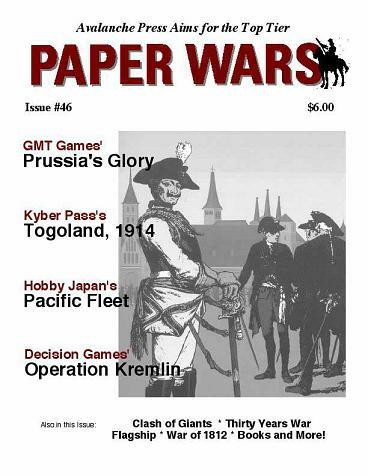 The new Paper Wars will have a complete game in each issue, and will be a full-color production. 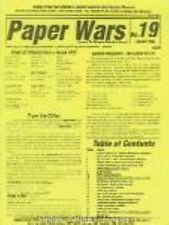 Paper Wars has been well known for its game reviews. 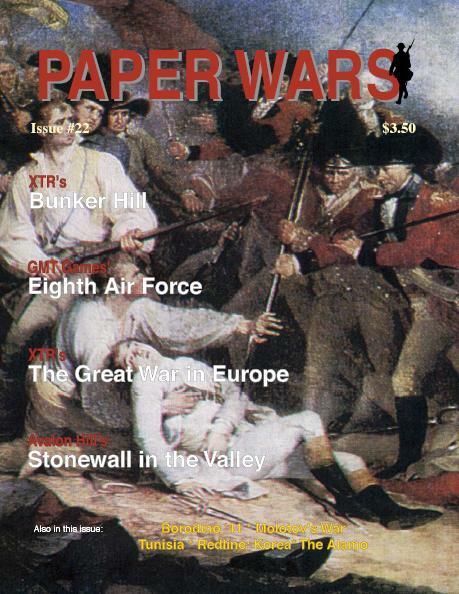 With John Burtt’s editorial guidance, this will continue to be the magazine’s strength. 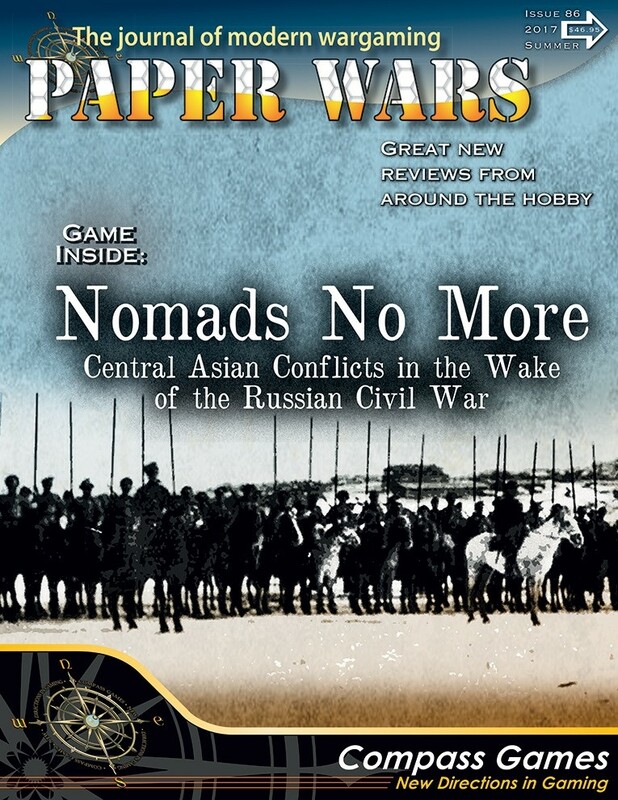 Additionally, Compass will introduce new articles and departments relative to our catalog of games. 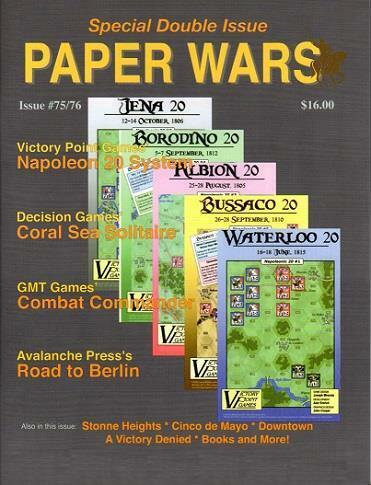 Examples would be strategy and tactics articles, new scenarios, expanded designer notes, examples of play, sneak peek artwork and previews of future releases. 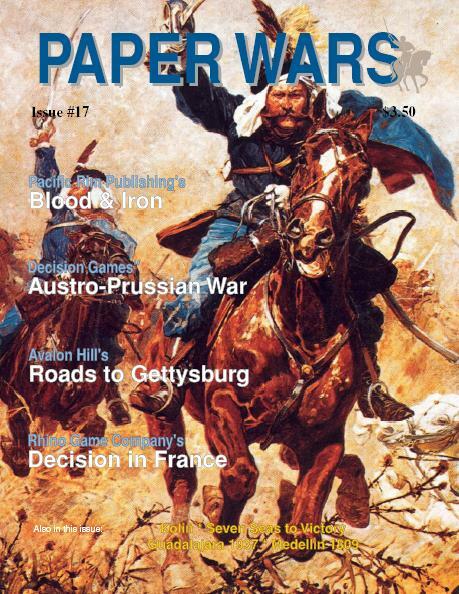 As always, we’ll remain flexible as the magazine grows so we can offer more variety in the content as opportunities arise." 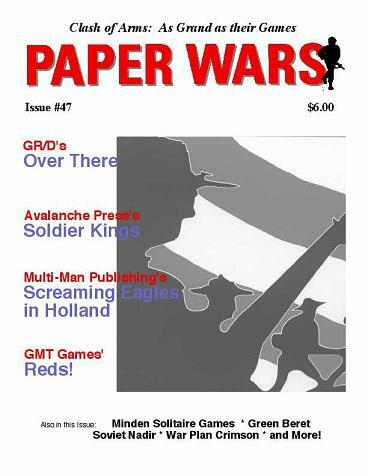 The website contains some confusing issue numbering/dates, with Issue 77 billed as Fall 2012, Issue 78 as Spring 2013, and reference to Issue 73 as April 2013(sic) and none in between.